Hello and welcome to the Newburgh Enlarged City School District’s Family and Community Engagement (FACE) webpage. The page is filled with timely and informative facts, strategies, resources, and supports to assist families in the valuable and complex work of parenting, advocacy, learning and leading. The Newburgh Enlarged City School District appreciates the significant role that families play in the lives of their children each and every day. The home is the first place of learning and families create environments, encourage values, and teach life lessons which shape how children see themselves, others, and the world around them. Families are important in the physical and emotional development of children and motivating their young minds to have a thirst for learning and dreaming. The Newburgh Enlarged City School District believes in partnering with families and the community to meet the unique and diverse needs of all our students. The success of our students is at the heart of all the District strives to accomplish to ensure that every family hears their child’s name called as they cross Academy Field. Being involved in your child’s education is a research supported strategy that promotes their success, so the NECSD encourages families to be involved however and whenever they can. For ways to be involved contact the principal at your child’s school or the leaders of the parent-teacher group (PTA/PTO) and Booster Clubs. If you would like to volunteer at the District-level please contact Mrs. Pamela Peterson, Director of Family and Community Engagement. The NECSD endeavors to make this webpage useful, accessible, and easy to use, so if you have any suggestions regarding this webpage, please email Mrs. Pamela Peterson at ppeterso@necsd.net. Feel free to provide feedback and ideas regarding school-based and district-level parent involvement and education events as well. Thank you, and remember - get involved! Coming Soon! The Newburgh Basics – a community-based initiative supporting families of children ages 0 – 3. The Newburgh Basics is five fun, simple and powerful ways to give your child a great start in life and ensure school readiness! Coming Soon! My Brother’s Keeper – an enterprise utilizing strategies and resources to close academic achievement gaps amongst our scholars of color. FACE of Hope – a celebration of hope and life by showcasing extraordinary young scholars in the NECSD community. FACES of Hope recipients are students that have overcome challenges in their lives and continue to move forward. These scholars support their fellow scholars, their schools and their communities. The NECSD is proud to recognize these scholars annually. Colgate Van – last year the Colgate Van visited several of our elementary schools and provided dental screenings and supplies to nearly 600 students. The Colgate Van supports the NECSD school community during Dental Hygiene Month (February). Lions Club Eye Screenings – this year the NECSD will be partnering with the Lions Club to offer eye screenings for our pre-K scholars. This will be coordinated under the supervision of our school nurses. This is an early detection process that supports the eye health of our youngest scholars. This endeavor will begin in the fall of 2017! Boys and Girls Club of Newburgh Day for Kids – Each summer FACE supports this event annually to celebrate children and youth throughout the school community. It is a day of unimaginable fun for families with games, prizes, food, information booths, school supplies, and so much more. Please come join us! Twitter Chats and Town Halls with the Superintendent of Schools – Chat, brainstorm and share ideas with the Superintendent of Schools, Dr. Roberto Padilla. Our Superintendent welcomes fresh and innovative ideas and feedback. He also likes to hear about concerns and challenges to ensure that all students and families are being supported. Please check the homepage of our District website for upcoming Chats or Town Halls or contact Mrs. Cassie Sklarz, Communications Strategist, at cassie.sklarz@necsd.net. United Parent Leadership Council – This council consists of parent group leaders, parent volunteers in our schools and members of the greater community. The goal of the Council is to support students, families, and schools through education activities, and advocacy. The Council meets every third Thursday of the month. Please check the District Calendar and Website for other upcoming events! The Newburgh Enlarged City School District offers Adult Education classes. Current classes include pre-High School Equivalency, High School Equivalency, and English-as-a-Second-Language. The program also offers development of workforce skills, career exploration, basic technology skills, and case management. Monday through Friday – 9 a.m. to 12 p.m.
Monday and Wednesday – 6 p.m. to 9 p.m. Please contact Ms. Vera Best, NECSD Adult Education Coordinator at 845-562-2378 or 914-805-5606 or email Ms. Best at vbest@necsd.net. Please ask about our English for Speakers of Other Languages (ESOL) opportunities. 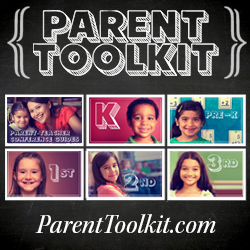 The parent toolkit is a website developed by NBC News' Education Nation and will help you navigate your child's journey from pre-kindergarten through high school. Stay tuned for upadtes on FACEForward. Please consider sharing your time, talents, ideas and energy to support the Newburgh Enlarged City School District’s effort to support every child’s success every day. Newburgh Equity Team –The Equity Team consists of community members and district staff interested in taking an objective approach to assessing equity issues around race, poverty and disabilities. If you are interested in participating please contact Ms. Berthenia Powell at 845-563-3511 or email Ms. Powell at bpowell@necsd.net. Thank you. School-Based Parent-Teacher groups – Many of our schools are supported by parent-teacher groups (PTA, PTO, PTC, PTG) and booster clubs. Consider joining or just volunteering for an activity or event. Our students and schools need your help. Contact your child’s school for parent-teacher group contact information. Make Read-Alouds Come to Life!